Below is a example of what I disuse with customers that are unaware of the terms and technical side of how websites are being looked at. Being able to educate others with information that is important for them to have there website up-to-date with how people search and view you website. Three facts that are important to know I have listed below. Fact 1: In terms of your online audience share - over 55% of the internet traffic to your web site, now comes from mobile devices such as cell phones and tablets. 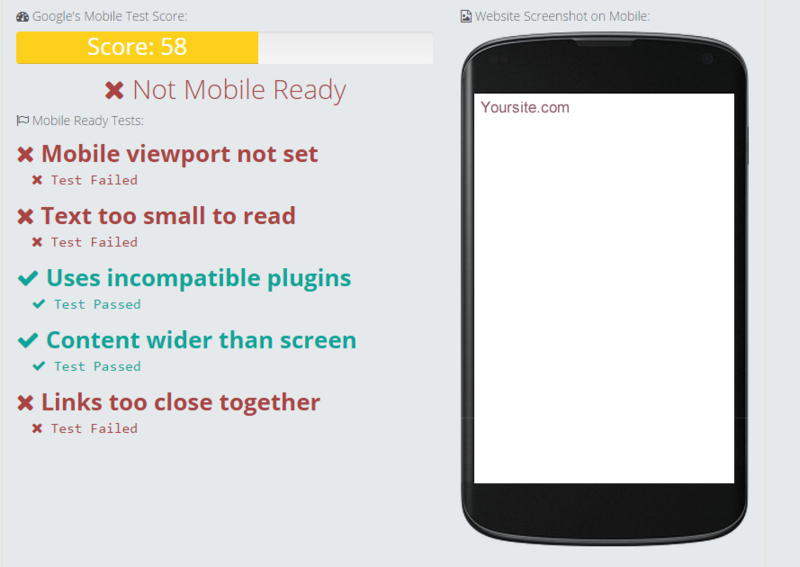 Fact 2: Google has introduce 'Mobile Readiness Score'. This penalizes websites that don’t work well on cell phones and tablets. Fact 3: A low score means it will get a low priority in Google’s listing. The inconvenience to view your site from a small screen makes you less visible in the web. 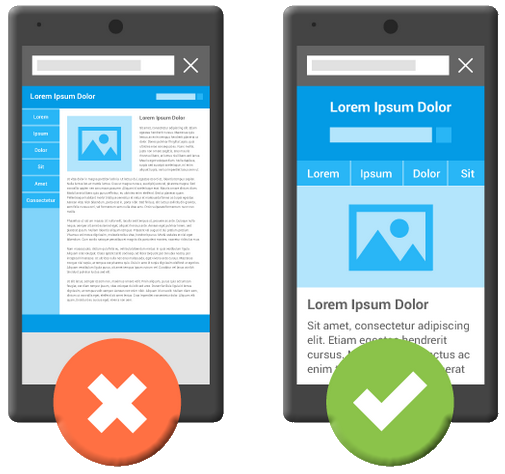 Note: Regardless of how well your website is optimized for Google Search, Google will not show your website in their listing unless your site attain certain 'Mobile Readiness Score'. Did you realize what your web site quality score is according to Google and How you can resolve this problem for your Website? Make an appointment with us. So we can help you determine what is needed and necessary for you to be up-to-date with your website online. We test any site—even a competitor’s You can test any public website. We will send you an email with the test score of your site along with additional information that can help you with answering your questions. Fill out the form for your Mobile Site information. You will receive a report that looks like the sample image on the left. Google has brought out the new algorithm that changes the platform for all websites on how they are viewed and displayed by search results. 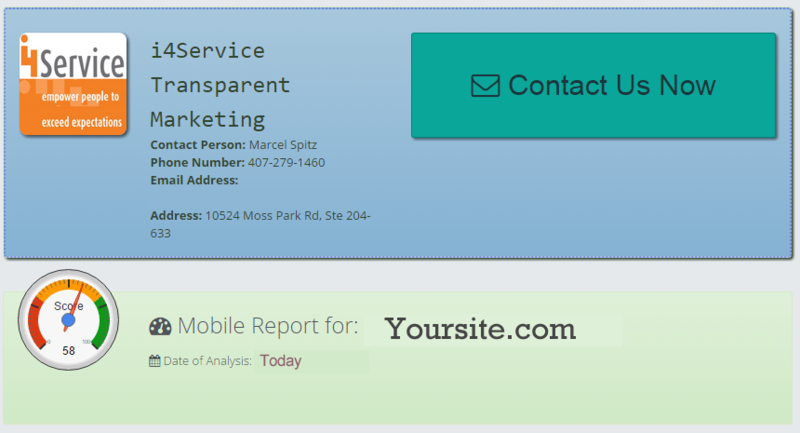 Increase sales a Mobile Friendly website Increase Sales - Increase the number of orders and average order value. 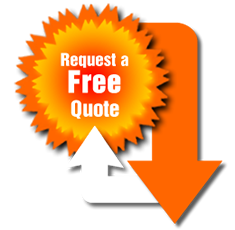 Generate More Leads - Convert your visitors into leads. More Traffic - provides adaptive solution to increase your search rankings, just the way Google recommends. At any stage of development You can test your project at any stage—from wireframes to prototypes to production. Save time, money, and your company’s reputation by getting user feedback before a single line of code is written. Diagram shown in image. Questions, comments, information regarding information fill out the form below. © 2017 i4Service. All Rights Reserved.